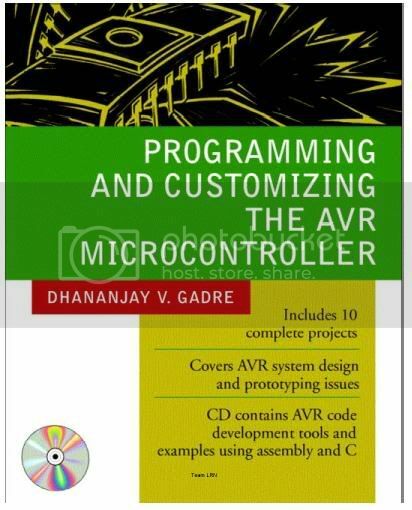 AVR is the latest in a long line of Atmel's breakthrough Flash Microcontroller offerings. Atmel introduced the first 8-bit Flash Microcontroller in 1993, and has continually refined the technology to provide the ultimate in performance for high-volume production. It's no wonder AVR has been adopted by the world's leading manufacturers-a testament to its wide applicability and superior reliability. A tool for everyone, and for everyone a tool. Atmel and third parties provide a full complement of integrated tools to make your development process fast, simple and successful. There is leading third-party vendor support across the complete spectrum of compilers, programmers, assemblers, debuggers, sockets and adapters. In addition, we provide low-cost development solutions. Our AVR Studio, assembler starter kits and in-circuit-emulators have all been created to deliver more functionality...for less. AT90CAN128 8-bit AVR Microcontroller with 128K Bytes of ISP Flash and CAN Controller. *ATmega169: 16-Kbyte self-programming Flash Program Memory, 1-Kbyte SRAM, 512 Byte EEPROM, 8 Channel 10-bit A/D-converter. JTAG interface for on-chip-debug. 4 X 25 Segment LCD Driver. Up to 16 MIPS throughput at 16 MHz. 1.8 - 5.5 Volt Operation. 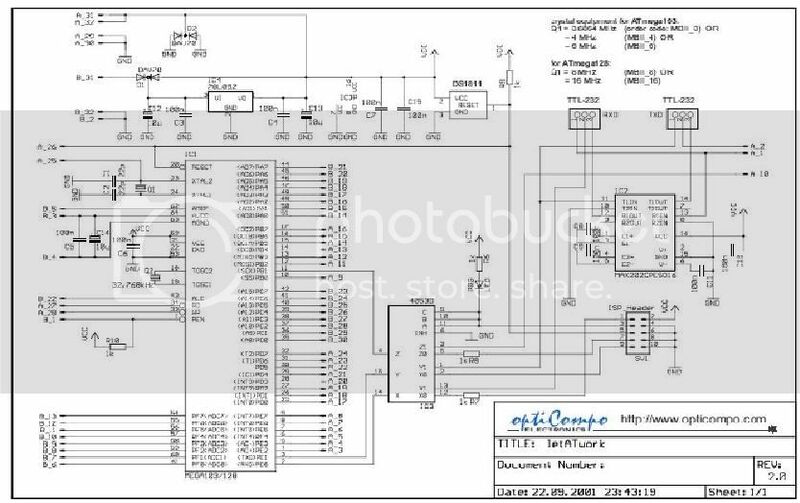 *ATmega329: 32-Kbyte self-programming Flash Program Memory, 2-Kbyte SRAM, 1-KByte EEPROM, 8 Channel 10-bit A/D-converter. JTAG interface for on-chip-debug. 4 X 25 Segment LCD Driver. Up to 16 MIPS throughput at 16 MHz. 1.8 - 5.5 Volt Operation. *ATmega3290: 32-Kbyte self-programming Flash Program Memory, 2-Kbyte SRAM, 1-KByte EEPROM, 8 Channel 10-bit A/D-converter. JTAG interface for on-chip-debug. 4 X 40 Segment LCD Driver. Up to 16 MIPS throughput at 16 MHz. 1.8 - 5.5 Volt Operation. *ATmega649: 64-Kbyte self-programming Flash Program Memory, 4-Kbyte SRAM, 2-KByte EEPROM, 8 Channel 10-bit A/D-converter. JTAG interface for on-chip-debug. 4 X 25 Segment LCD Driver. Up to 16 MIPS throughput at 16 MHz. 1.8 - 5.5 Volt Operation. *ATmega6490: 64-Kbyte self-programming Flash Program Memory, 4-Kbyte SRAM, 2-KByte EEPROM, 8 Channel 10-bit A/D-converter. JTAG interface for on-chip-debug. 4 X 40 Segment LCD Driver. Up to 16 MIPS throughput at 16 MHz. 1.8 - 5.5 Volt Operation. *AT90PWM2: Specially designed for Lamp ballast and Motor Control applications, the AT90PWM2 AVR microcontroller features 8 KBytes Flash memory, 7-channel advanced PWM, 8-channel 8-bit ADC, two or three 12-bit High Speed PSC (Power Stage Controllers) with 4-bit Resolution Enhancement and DALI protocol support. *AT90PWM3: Specially designed for Lamp ballast and Motor Control applications, the AT90PWM3 AVR microcontroller features 8 Kbytes Flash memory, 10-channel advanced PWM, 11-channel 8-bit ADC, a 10-bit DAC, two or three 12-bit High Speed PSC (Power Stage Controllers) with 4-bit Resolution Enhancement and DALI protocol support. *ATmega48: 4K byte self-programming Flash Program Memory, 512 byte SRAM, 256 Byte EEPROM, 8 Channel 10-bit A/D-converter(TQFP/MLF). debugWIRE On-chip Debug System. Up to 20 MIPS throughput at 20 MHz. *ATmega8: 8-Kbyte self-programming Flash Program Memory, 1-Kbyte SRAM, 512 Byte EEPROM, 6 or 8 Channel 10-bit A/D-converter. Up to 16 MIPS throughput at 16 Mhz. 2.7 - 5.5 Volt operation. *ATmega88: 8K Byte self-programming Flash Program Memory, 1K Byte SRAM, 512 Bytes EEPROM, 8 Channel 10-bit A/D-converter(TQFP/MLF). debugWIRE On-chip Debug System. Up to 20 MIPS throughput at 20 MHz. *ATmega8515: 8-Kbyte self-programming Flash Program Memory, 544 Byte internal + up to 64 Kbyte external SRAM, 512 Byte EEPROM. Up to 16 MIPS throughput at 16 Mhz. 2.7 - 5.5 Volt operation. *ATmega8535: 8-Kbyte self-programming Flash Program Memory, 544 Byte SRAM, 512 Byte EEPROM, 8-channel 10-bit A/D Converter. Up to 16 MIPS throughput at 16 MHz. 2.7 - 5.5 Volt operation. *ATmega16: 16-Kbyte self-programming Flash Program Memory, 1-Kbyte SRAM, 512 Byte EEPROM, 8 Channel 10-bit A/D-converter. JTAG interface for on-chip-debug. Up to 16 MIPS throughput at 16 Mhz. 2.7 - 5.5 Volt operation. *ATmega162: 16-Kbyte self-programming Flash Program Memory, 1-Kbyte SRAM, 512 Byte EEPROM, JTAG interface for on-chip-debug. Up to 16 MIPS throughput at 16 MHz. 1.8 - 5.5 Volt operation. *ATmega165: 16-Kbyte self-programming Flash Program Memory, 1-Kbyte SRAM, 512 Byte EEPROM, 8 Channel 10-bit A/D-converter. JTAG interface for on-chip-debug. Up to 16 MIPS throughput at 16 MHz. 1.8 - 5.5 Volt operation. *ATmega168: 16K Byte self-programming Flash Program Memory, 1K Byte SRAM, 512 Bytes EEPROM, 8 Channel 10-bit A/D-converter(TQFP/MLF). debugWIRE On-chip Debug System. Up to 20 MIPS throughput at 20 MHz. *ATmega32: 32-Kbyte self-programming Flash Program Memory, 2-Kbyte SRAM, 1-Kbyte EEPROM, 8 Channel 10-bit A/D-converter. JTAG interface for on-chip-debug. Up to 16 MIPS throughput at 16 Mhz. 2.7 - 5.5 Volt operation. *ATmega325: 32-Kbyte self-programming Flash Program Memory, 2-Kbyte SRAM, 1-KByte EEPROM, 8 Channel 10-bit A/D-converter. JTAG interface for on-chip-debug. Up to 16 MIPS throughput at 16 MHz. 1.8 - 5.5 Volt Operation. *ATmega3250: 32-Kbyte self-programming Flash Program Memory, 2-Kbyte SRAM, 1-KByte EEPROM, 8 Channel 10-bit A/D-converter. JTAG interface for on-chip-debug. Up to 16 MIPS throughput at 16 MHz. 1.8 - 5.5 Volt Operation. *ATmega64: 64-Kbyte self-programming Flash Program Memory, 4-Kbyte SRAM, 2-Kbyte EEPROM, 8 Channel 10-bit A/D-converter. JTAG interface for on-chip-debug. Up to 16 MIPS throughput at 16 Mhz. 2.7 - 5.5 Volt operation. *ATmega645: 32-Kbyte self-programming Flash Program Memory, 2-Kbyte SRAM, 1-KByte EEPROM, 8 Channel 10-bit A/D-converter. JTAG interface for on-chip-debug. Up to 16 MIPS throughput at 16 MHz. 1.8 - 5.5 Volt Operation. *ATmega6450: 32-Kbyte self-programming Flash Program Memory, 2-Kbyte SRAM, 1-KByte EEPROM, 8 Channel 10-bit A/D-converter. JTAG interface for on-chip-debug. Up to 16 MIPS throughput at 16 MHz. 1.8 - 5.5 Volt Operation. *ATmega640: 64-Kbyte self-programming Flash Program Memory, 8-Kbyte SRAM, 4-KByte EEPROM, 16 Channel 10-bit A/D-converter. JTAG interface for on-chip-debug. Up to 16 MIPS throughput at 16 MHz. 1.8 - 5.5 Volt Operation. *ATmega128: 128-Kbyte self-programming Flash Program Memory, 4-Kbyte SRAM, 4-Kbyte EEPROM, 8 Channel 10-bit A/D-converter. JTAG interface for on-chip-debug. Up to 16 MIPS throughput at 16 MHz. 2.7 - 5.5 Volt operation. *ATmega1281: 128-Kbyte self-programming Flash Program Memory, 8-Kbyte SRAM, 4-KByte EEPROM, 8 Channel 10-bit A/D-converter. JTAG interface for on-chip-debug. Up to 16 MIPS throughput at 16 MHz. 1.8 - 5.5 Volt Operation. *ATmega1280: 128-Kbyte self-programming Flash Program Memory, 8-Kbyte SRAM, 4-KByte EEPROM, 16 Channel 10-bit A/D-converter. JTAG interface for on-chip-debug. Up to 16 MIPS throughput at 16 MHz. 1.8 - 5.5 Volt Operation. *ATmega2561: 256-Kbyte self-programming Flash Program Memory, 8-Kbyte SRAM, 4-KByte EEPROM, 8 Channel 10-bit A/D-converter. JTAG interface for on-chip-debug. Up to 16 MIPS throughput at 16 MHz. 1.8 - 5.5 Volt Operation. *ATmega2560: 256-Kbyte self-programming Flash Program Memory, 8-Kbyte SRAM, 4-KByte EEPROM, 16 Channel 10-bit A/D-converter. JTAG interface for on-chip-debug. Up to 16 MIPS throughput at 16 MHz. 1.8 - 5.5 Volt Operation. *ATmega406: 40-Kbyte self-programming Flash Program Memory, 2-Kbyte SRAM, 512-Byte EEPROM, up to 4 Battery Cells in series, Cell balancing, Under-voltage protection, Over-current and Short-circuit protection, 12-bit Voltage ADC, Coulomb Counter Current measurement, SM-bus interfae, JTAG interface for on-chip debug. Up to 1 MIPS throughput at 1 MHz. 4 - 25 Volt Operation. *ATtiny11: 1-Kbyte In-System programmable Flash Program Memory, 32 byte SRAM, Up to 6 MIPS throughput at 6 Mhz. *ATtiny12: 1-Kbyte In-System programmable Flash Program Memory, 32 byte SRAM, 64 Byte EEPROM, Up to 8 MIPS throughput at 8 Mhz. *ATtiny13: 1-Kbyte In-System programmable Flash Program Memory, 64-Byte SRAM, 64-Byte EEPROM, 32-Byte Register File, 4-channel 10-bit A/D, Up to 20 MIPS throughput at 20 MHz. *ATtiny15L: 1-Kbyte In-System programmable Flash Program Memory, 64-Byte EEPROM, 32-Byte Register File, 4-channel 10-bit A/D, Up to 1.6 MIPS throughput at 1.6 MHz. *ATtiny2313: 2K Bytes of In-System Self-Programmable Flash, 128 Bytes In-System Programmable EEPROM, 128 Bytes Internal SRAM. USI--Universal ****** Interface, Full Duplex UART. debugWIRE for on-chip-debug. Up to 20 MIPS throughput at 20 MHz. *ATtiny25: 2K Bytes of In-System Self-Programmable Flash, 128 Bytes In-System Programmable EEPROM, 128 Bytes Internal SRAM. Two 8-bit timer/counters with PWM and prescaler, 10-bit ADC, USI-Universal ****** Interface. debugWIRE for on-chip-debug. Up to 20 MIPS throughput at 20 MHz. 1.8 - 5.5 V operation. *ATtiny26: 2K Flash Program Memory, 128 Bytes SRAM, 128-Byte EEPROM, 11-Channel 10-bit A/D converter. Universal ****** Interface. High Frequency PWM. Up to 16 MIPS throughput at 16 MHz. *ATtiny28L: 2K Flash Program Memory, 128 Bytes SRAM (+32bytes register file), Keyboard interrupt. Up to 4 MIPS throughput at 4 MHz. *ATtiny45: 4K Bytes of In-System Self-Programmable Flash, 256 Bytes In-System Programmable EEPROM, 256 Bytes Internal SRAM. Two 8-bit timer/counters with PWM and prescaler, 10-bit ADC, USI-Universal ****** Interface. debugWIRE for on-chip-debug. Up to 20 MIPS throughput at 20 MHz. 1.8 - 5.5 V operation. *ATtiny85: 8K Bytes of In-System Self-Programmable Flash, 512 Bytes In-System Programmable EEPROM, 512 Bytes Internal SRAM. Two 8-bit timer/counters with PWM and prescaler, 10-bit ADC, USI-Universal ****** Interface. debugWIRE for on-chip-debug. Up to 20 MIPS throughput at 20 MHz. 1.8 - 5.5 V operation.